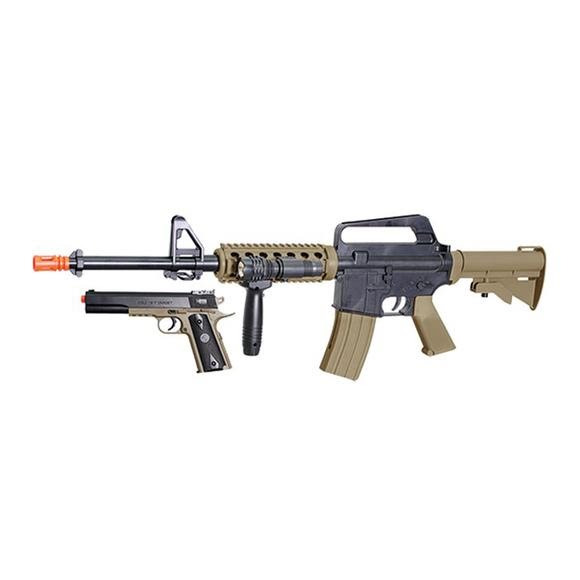 This Palco package comes with both a spring powered 6mm airsoft Colt M4 rifle and a spring powered 6mm airsoft Colt 1911 spring powered pistol. A complete tactical loadout in one package. This package comes with all the tactical accessories including a laser sight for the pistol, tactical flashlight and vertical grip for the rifle. The rifle has a polymer RIS system.